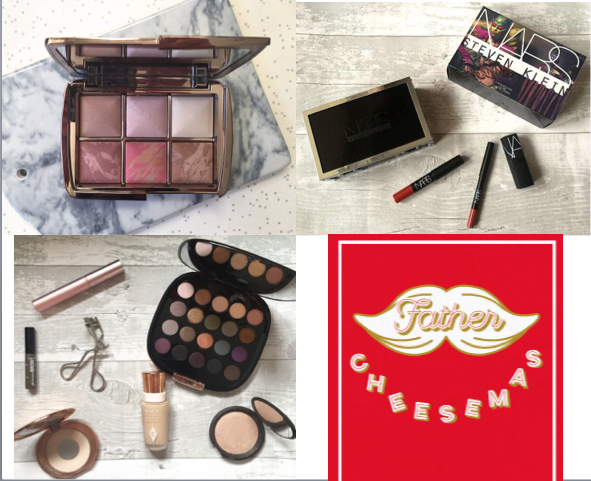 Weekend windup: New purchases, flat lays and Byron's Christmas menu! This week has been a very VERY quiet one. I haven't really been out at all except for work and going out for dinner at Byron. Now, I love a good burger so when I got an email about their new Christmas menu I had to go and try it. Their menu includes the Father Cheesemas burger, Caramel and salted pretzel milkshake, Holy Macaroni and Oreo cheesecake- yum!!! I definitely recommend paying a visit soon. I have also made some naughty purchases. I finally caved in to buying the Ambient lighting edit palette. A full review will be heading your way this week but I have to say, I am so glad I bought it! I also bought one of the limited edition sets from the Nars and Steven Klein collaboration. You can read my blog post all about it here. I've also been posting some make up of the day flat lays over on my instagram @ihartbeauty. These only appear on instagram so I would love you to check them out and let me know what you think! I hope you have had a lovely week, please let me know what you have been up to!